Home/Archive by Category "From the South"
The summer break is upon us, and personal time will be abundant. It will be wise of us to use this time to practice on our proficiency and rituals! Many brothers have indicated that they are willing to donate their time and resources to us as needed, I will definitely be taking advantage of this opportunity. Every single education seminar I’ve attended, whether on a Grand scale or picnic table, I’ve come away fulfilled. I encourage each over the summer to: IMPROVE YOURSELF IN MASONRY!!! In closing, PRACTICE & POLISH!!! As we know the widows dinner is approaching, and I certainly would like for Mt. Moriah Lodge #39 to leave a memorable and lasting impression on these fine ladies who have quietly and humbly supported our craft. So let our attitude and conduct speak volumes! And not to mention a tremendous amount of Fellowship. As the Sun gains momentum in the days ahead, so should we; Mt. Moriah Lodge #39. As our summer break approaches, in May I’ve planned an exciting BBQ menu for the Widow’s Dinner, with specifics to follow next month. So plan to visit and enjoy fellowship, for more than an hour or two. Also, we’ve received accolades for the work that we put out and it’s POSITIVE!!! So practice and polish, remember our resources are put in place for our betterment. So we have to walk and act as such. Chili’s (with & without) beans, Chicken with Grilled Peppers and Onions, Chips, Cheese & Sauerkraut. And we can’t forget GOOD FELLOWSHIP. In closing, I’m gonna ask a few opened ended questions that we can all ponder in search of light in Masonry!!! 1. What’s the level of fellowship in your lodge? 2. Is your lodge really committed to Leadership Development? 4. 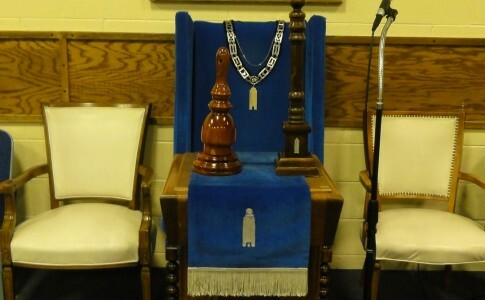 Does your lodge control the quality of lodge leaders, (Relevancy)? 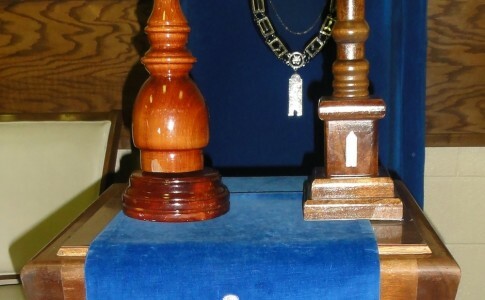 Brethren, If you have missed the last few family dinners, you have been missing good food, great fellowship, and a very exciting time in the life of our lodge. So, what can we do to help get you and your family to be part of it? I would love to talk to you about what has got us re-energized about our recent family meals. On September 2nd, we will be having Food & Fellowship at 630pm prior to the Stated Meeting. Serving Cheese/Hamburgers, fries, chips, salad and dessert. Our next family dinner will be September 16th and we will be having our annual “Chili Cook-off.” Bring in a crock/pot of your best Chili (or non-chili soup if you prefer) to share and we will provide salad, bread and dessert. May your plans for September include the lodge as we seek continued Fellowship. It is already May and soon we will all be off enjoying the Summer and our tremendous weather. This month will be your last chance to join us for “Food & Fellowship”, Lodge, and family dinner until September. I hope your May plans include this Masonic Lodge and our calendar of events. On May 6th “Food and Fellowship” continues at 630 as I will be serving hamburgers, Fries, chips, salad and dessert for those who would like to have “Food and Fellowship” before the meeting. Please arrive early, as I have to stop serving food at 715 so I can get into Lodge on time. Our family dinner for this month will be on the May 20th and will be a BBQ of a variety of meats (Pork, Beef, & Chicken,) and with all the fixings.